As a couple who travel the world together, many of you ask us time and time again how we manage to maintain a healthy and loving relationship when we spend so much time together in proximity! Our relationship is by no means perfect, and we will have those days whereby we have the odd cross word here and there. However, if you’re traveling with one another all over the world, the rewards of seeing new cultures, new ways of life and experiencing life at its best often forces us to address our niggle as soon as they arise, so we can get on with enjoying the remainder of our stay! 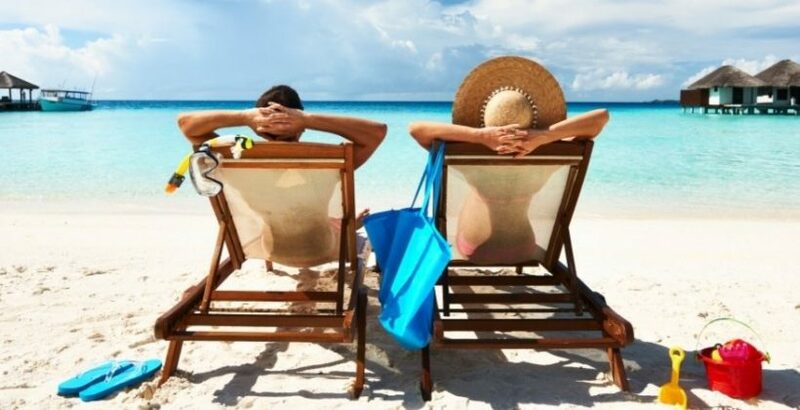 If you’re worried about an up and coming trip whereby it will just be the two of you as a couple, here are some tips to ensure that you not only have a great time away together but that you also come back very much as a couple! We find that when we both have a good outline of where we’re going to be gong and what we’re going to be doing, then there’s often little time to contemplate having an argument or disagreement! Though this doesn’t mean you can’t keep time aside for spontaneity, it does give you both a purpose and something you can agree on together before you start your journey. Just like life, travel would be tedious if you both had the same ideas, likes, and agreed on every place of interest. Therefore, use your personality difference and try to do something that your partner wants to do one day and return the favor the next day. You may like sightseeing in the busier of marketplaces, whereby your partner wants to head off the beaten track. Make sure you do both and take time out to discover what makes your parent tick in the meantime. Finally, it’s essential to assure you both get time out from one another every day when you travel as a couple. This may be for just half an hour each time, but what it should do is allow you to wander off and do your own thing, taking a breather. We all need to have a little solitary time each day to reflect, and when you travel with just the other for company, this time out is crucial to gather your thoughts.